Ignorance based cardiology : What is the relationship between blood cholesterol and plaque cholesterol ? Hyperlipidimia is one of the well-known coronary risk factor.Serum cholesterol ( Various fractions ) levels are measured to represent that risk. Epidemiologically ,it does a perfect job , however , the fact is , circulating lipids has little correlation with the lipids that’s deposited in the vessel wall. 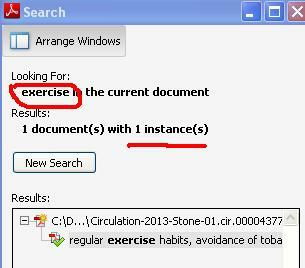 Why this paradox ? What are the missing links and hidden secrets ? It’s not the lipids alone that are responsible for CAD . There is a whole lot of factors , circulating pro inflammatory mediators, altered blood coagulation system , various inflammatory molecules, , heightened intra-coronary pressures, genetic vulnerabilities . There is lesser reported phenomenon called cholesterol crystalisation , with sharp edges (Lipid knife ?) that are responsible random episodes plaque fissure and rupture. It was reported in one of the rare research paper that came from (Abela Am J Cardiol.2009) Factors that crysalise cholesterol include local saturation, PH, temperature , hydration and plaque RBC contact. If you argue lipid levels are not correlating with CAD , how is that reducing it with statins dramatically reduce CAD and the events ? Like blood pressure the normality of serum lipids itself is not defined.One insightful definition was proposed , that the level at which a person develops CAD is high for that patient however low it may be..A person who develops extensive CAD say at a level of 90mgLDL what to infer ? We do not know exact answer. That’s why the concept of satin for all with clinical CAD looked attractive. Still , statin’s action doesn’t help answer the original query about the relationship between blood lipids and plaque lipids. 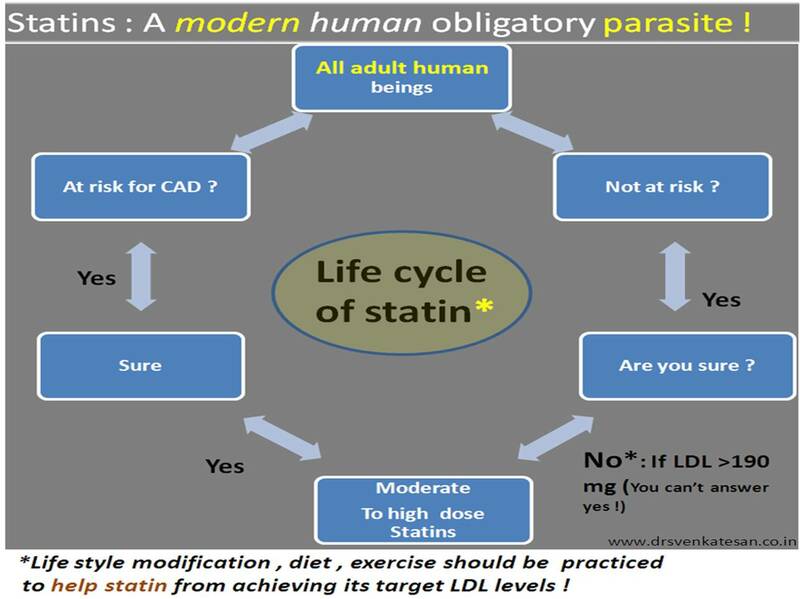 Statins beneficial effect is not by reduction of serum cholesterol.It primary acts by regressing intra-plaque lipids by blocking synthesis of lipids in every cell.The anti inflammatory,plaque stabilisation action of statin may be independent of lipid reduction.How much it contributes to overall benefits is not known. Not every LDL is bad. (I will be slapped if I call them Good LDL !) Small dense LDL , LDL P (Particle) ApoB (The real culprit on which LDL piggybacks ) lipoprotein little a and so many other lipid sub particles are being studied. The purpose of this post is not to confuse our understanding about coronary lipidology but to widen our vision . Serum lipids remain a poor surrogate marker for plaque lipids. This is because , It’s rather a small fraction of sample volume we catch in the circulating blood , while loads of lipids gets deposited elsewhere in the body ! This also make it clear,no single risk factor in isolation is really CAD risky.It is the combination of risks , genetic susceptibility , LDL subfractions, few unknown risk/protective factors and finally a mandatory trigger(Hemodynamic, Emotional ?) that determine the outcome of CAD. So ladies and gentle men , just don’t over react to mildly abnormal lipid levels you often find in master health checks .There is much more untold stories behind the true CAD risk than the glossy lab printouts would suggest ! What is the relationship between serum cholesterol and coronary plaque cholesterol? Whatever is your answer . It will be far off from the truth . The perception that , circulating lipids directly damage the coronary endothelium is an ill proven concept. Isolated hyperlipidemia rarely leads to full blown Atherosclerois . If LDL moelcules can penetrate the endothelium , why the circulating LDL at a normal concentration of 130mg/dl fail to do so in vast number of humans as they criss cross the human circulatory system at-least a trillion times every year ? So , there must be something else operating *It requires a high blood pressure, diabetes , smoking or some form of endothelial injury (That includes chronic Inflammation ) for the lipids to enter the sub endothelial planes and start depositing. The relationship between serum lipids and plaque burden lacks clarity. * The argument that 130mg LDL is injurious to endothelium while 100mg is not , can easily be disputed ! What happens to HDL level following Intensive statin therapy ? What does the scientific evidence say ? It says the opposite . 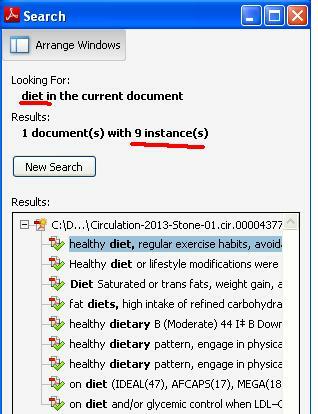 It seems HDL is raised by statins that too significantly . 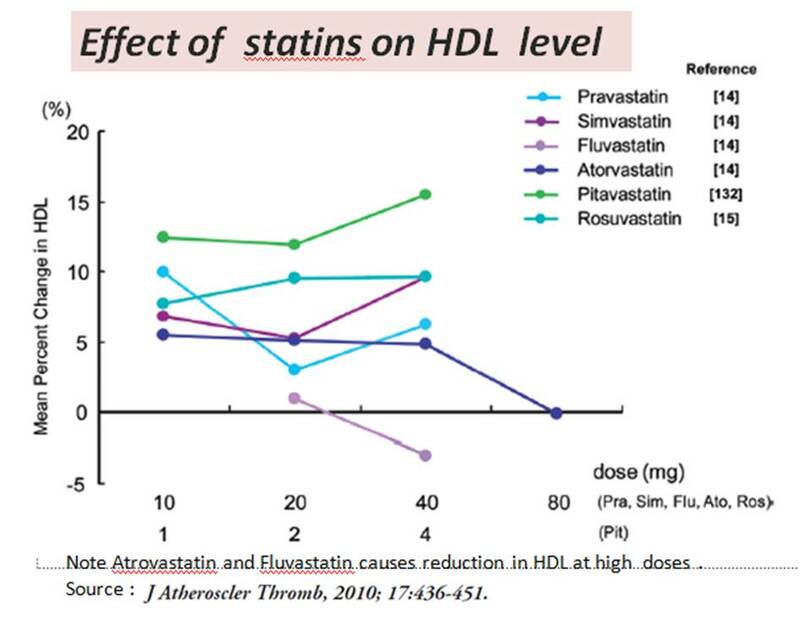 The following paper also suggests mechanism of HDL elevation by statins .It is Independent to that of LDL reduction , I believe . This paper from the premier Journal of Lipid research agrees to the mechanism of HDL reduction by statin is a complex process but still it vouches for it . The above articles also raise an important concept of dysfunctional HDL. 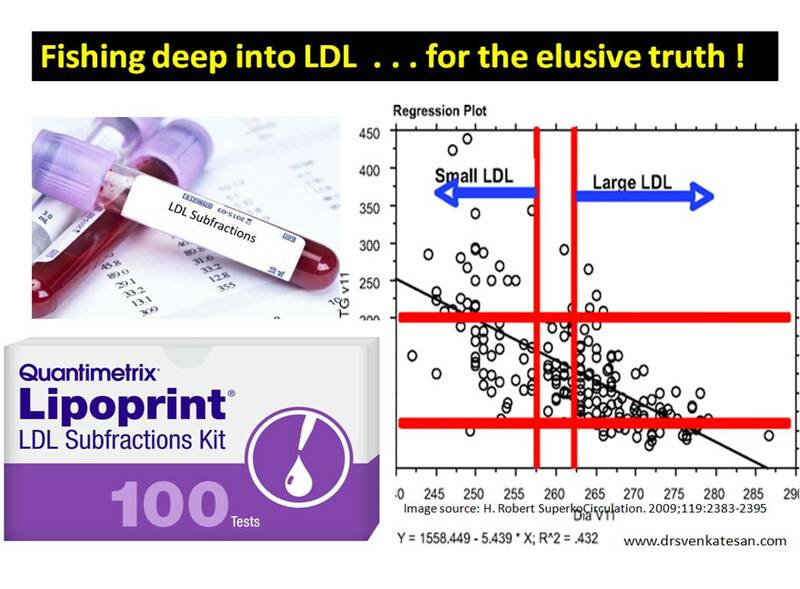 Simple raise in HDL is not suffice . . .it should be functional as well ! Management issues in systemic hypertension : Too many choices and too many guidelines ! Let us not forget the basics ! HT management has been made easier with the availability of many good drugs , at the same time it has become a complex issue with as many classification and guidelines. The management of HT has evolved over the decades. Now we have realised HT is not a simple number game . Reducing the blood pressure to target levels is not sufficient and is not the primary aim !. In fact we now know controlling the numbers alone is never going to work , combined risk factor reduction is of paramount importance. HT per se is less lethal but when it combines with hyperlipidemia and diabetes or smoking it becomes aggressive.The blood lipids especially the LDL molecule enjoy the high pressure environment , penetrate and invade the vascular endothelium. ASCOT LLA study has taught us, for blood pressure reduction to be effective and reduce CAD events one has to reduce thier lipid levels also.So , for every patient with HT there is not only a target BP but also a target LDL level . The tip for better vascular health is , all hypertensive patients should keep their lipids to optimal levels and all hyperlipidemia patients should keep their BP as low as possible .